Since its founding in 2000, TeleSolv Consulting has been committed to helping organizations solve complex problems. Our solutions integrate sound management principles with the most appropriate technologies to assist senior executives in effectively managing programmatic, schedule, and technical risks. We approach business challenges with experienced personnel, proven solutions, and the most effective tools available in the industry. Our solutions are based on a profound understanding of studied and efficient business practices, commercial and Federal. We leverage relevant aspects of best practices for agencies that can benefit from effective solutions implemented elsewhere in government and industry... Let's Accelerate! TeleSolv was founded on a single promise to our clients -- to deliver our services with the desired business results on time and on a budget. Over the past 17 years our high performance teams have successfully delivered on this promise by providing positive and measurable results on all of our engagements. Our consultants have provided nearly half of the executive-level Federal agencies with a wide range of program and information management support services including management consulting services; operations and help desk support; web design and development; data analysis; training; technical writing; and customer service support. Our enduring commitment to client satisfaction is evident in our track record of success and exceptional past performance ratings. We can help your organization define and articulate effective business strategies and road maps. Using our performance measurement solutions, we translate strategies and road maps into measurable actions. 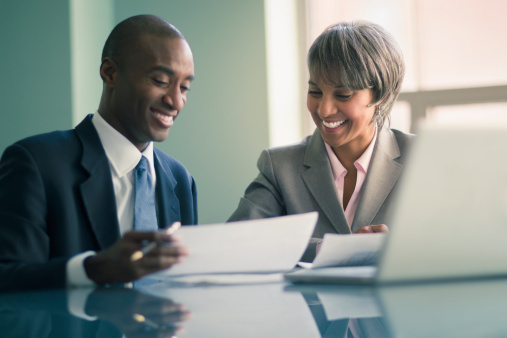 Our consultants analyze performance results with our clients to develop expected outcomes. We assist organizations with retrieval, research, analysis, and presentation of the information required to make critical decisions on a variety of matters. We leverage data sources of institutions respected across government and commercial sectors to furnish our clients with actionable information relevant to their business needs. We also assist our clients with implementing information systems. Our support includes project management of the systems development life cycle process (planning, requirements, design, development, testing, and implementation).